Need more info or ready to book? 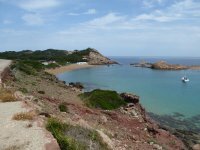 Latest dates for 2019 Thursday 16th to Saturday 25th May 2019 a wonderful walking adventure to the Mediterranean island of Menorca, one of the three Balearic Islands, East of Majorca and Ibiza. 2019 will be our fourth year, and 2018 was a successful elongated trip after the unqualified success of our first two years. We added two new walks to the itinerary for 2018. Quiet, suprising and unique with its own beauty and stories. A mixture of cultures to understand we explore beautiful deserted beaches, cliffs, fields, groves and woodlands. We have unearthed a real jewel of an island that has only in recent years invited walkers to enjoy its true delights. Why? 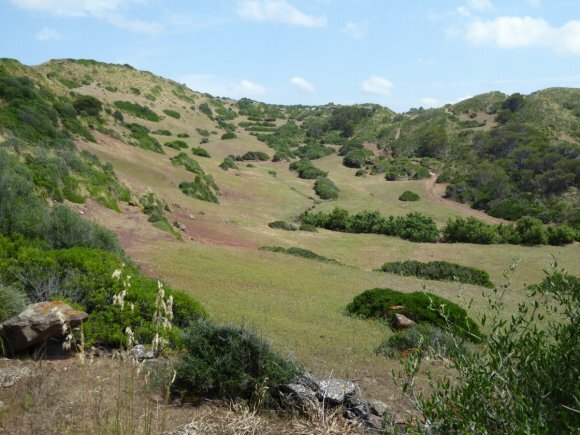 The Cami de Cavalls is a recently reopened coastal path, that by its name - the Way of the Horses - reminds one of its origins, where Menorquin horses, which are still highly trained and one can still see, were ridden around the whole coast to maintain the defence of the island. 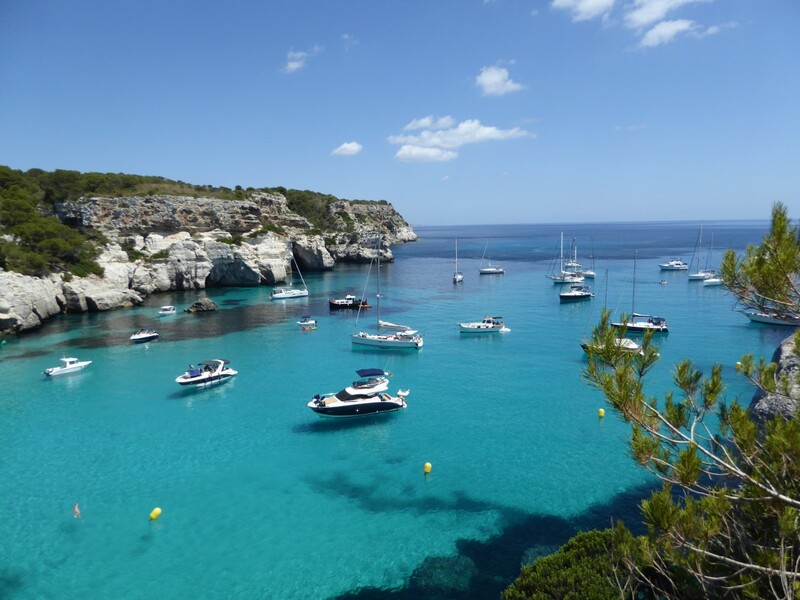 Menorca is an island, split geologically, virtually into two, meaning that our coastal walks will be traversing an array of landscapes; with soft sandy deserted beaches, angular limestone cliffs, wooded valleys called barrancs and farmland surrounded by limestone walls that all together if laid end to end would streatch further than the Great Wall of China. The whole island was designated a Biosphere by UNESCO in 1993 and we will visit the main reserve at the Albufera des Grau, with a possibility of seeing a Black Kite or Booted Eagle. The islanders have over centuries understood living in harmony with their surroundings and they take their natural habitats seriously as part of their way of life and key to success towards a sustainable future. As a member of Cornwall's Sustainable Tourism network this struck a chord with me and it is great to see the Menorcan biosphere recognised on a World level. Come and see it for yourself. 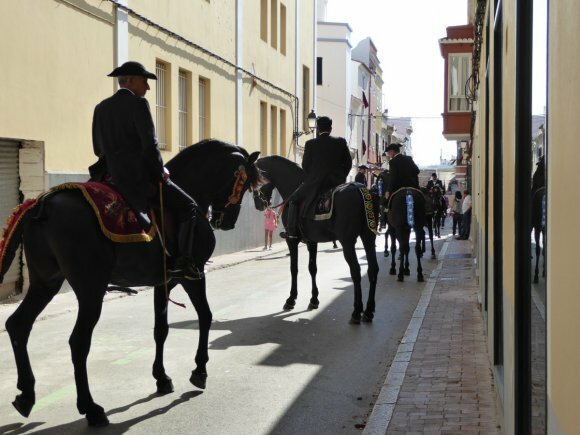 Menorca is renowned for its cheese and its wine and we will visit and taste their produce on a couple of special visits. And did you know where Mayonnaise originated? 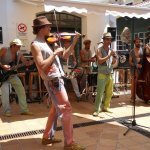 The fact that Menorca's present capital is called Mahon will give you a clue. One needs to talk of food on a walking holiday. The Tapas menus are wonderful catering for all tastes especially fish lovers. As a vegetarian I was well catered for and the herbs and freshness of the produce is something Menorcans are so proud of. In the true Mediterranean style evening meals start from early evening and go on late into the night. Where we go; We spend four nights in the port of Mahon and five nights across the other side of the island, which is only an hour away, in Ciutadella the old Moorish capital. Get lost in its rambling, thin streets and you will find a gem or two; restaurants that locals frequent. Both towns have their charms, their differences and history. With Neolithic history we also take note of the importance of the Talayotic period around 1500BC upto the Roman occupancy. 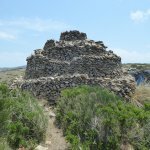 We pass ancient prehistoric sites, caves, monasteries and farms that have been owned by the important Menorcan families for centuries. Much of the landscape is unchanged and the paths trodden by generations of workers, pilgrims, pirates and the elite. 5 full days of walks and 2 half days in total. A visit to taste the local cheeses and also a visit to the wine growers at Binifadet. A boat trip along the 3 mile harbour of Mahon. At least 2 guides per walk with myself Paul and Bob and Wendy Reid who know this island and its paths from living there since 2002. 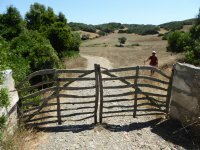 Wendy has walked the Camis de Cavalls - the 114 mile coast path three times in its entirety. Other wildlife experts who have helped monitor and set up the Biosphere reserve will be joining us on a walk. 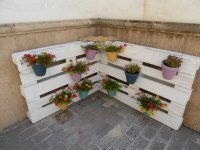 Guided walks around Mahon and now Cuitadella with two local enthusiastic, proud and entertaining Menorcan guides. Our own minibus to take us around the island. A CDROM of photos of the whole trip that I always do for you of our unique walking holiday. A Tapas meal of a variety of dishes on the first night in Mahon at one of the best restaurants in town. A full Tapas lunch on our third days walk in the hills of Es Migjorn. Packed lunches prepared by the hotels for our walking days. Taxis to meet you at the airport and to take you on departure day plus coach transfers.